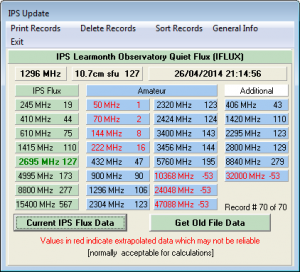 What does an Antenna Tuning Unit (ATU) do? 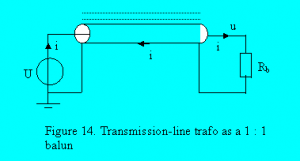 An Antenna Tuning Unit (ATU) performs a simple but important function in many transmitting systems. 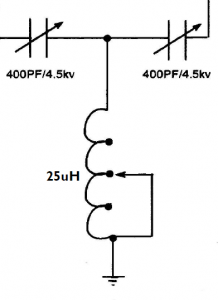 Almost all things called an ATU are simply impedance transformers, and almost always, narrow band impedance transformers (meaning that when adjusted, they achieved the desired transformation over only a narrow frequency range). 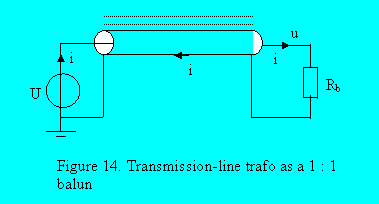 ATUs come in a range of configurations, each designed for a specific set of characteristics. 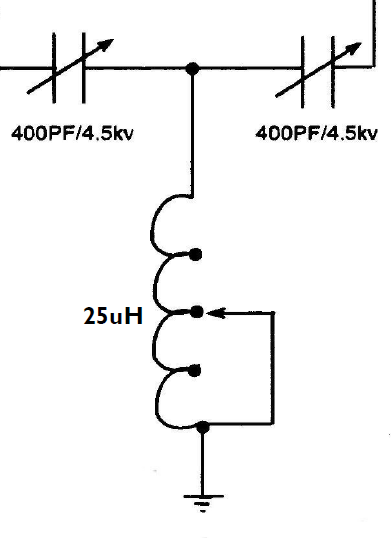 Above is the heart of a Palstar AT2K T Tuner, just three real passive components that are fully explained by conventional linear circuit theory. 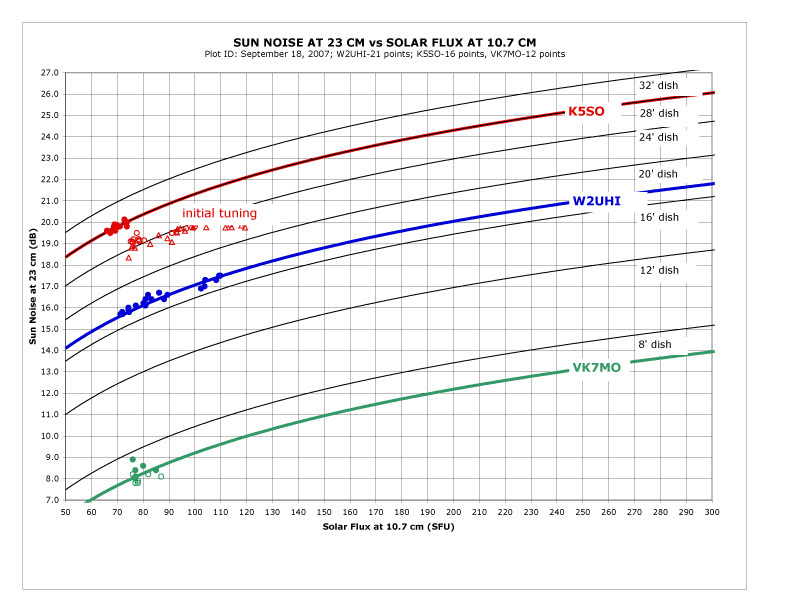 Continue reading What does an Antenna Tuning Unit (ATU) do? ON9CD (Vandonselaar 2002) gives an expose on baluns for Hams. EMECalc v9.09 was opened, a model for 1296MHz created, and the “get IPS data” button pressed. 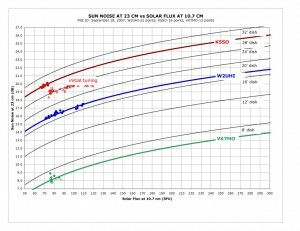 K5SO published an article in which he reported measurements of Sun noise rise over cold sky for K5SO, W2UHI and VK7MO.